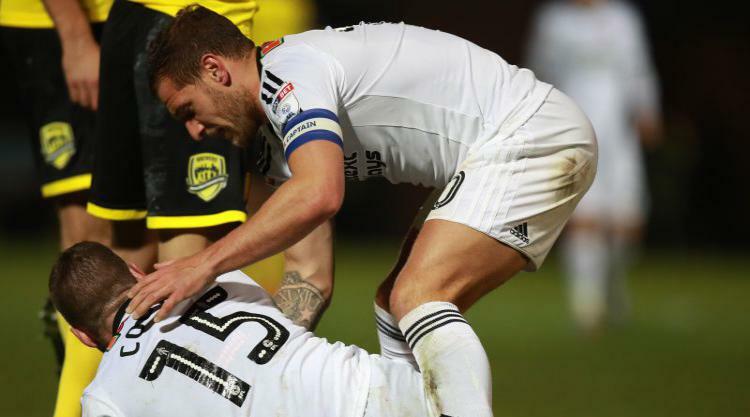 Sheffield United midfielder Paul Coutts did not need surgery after breaking a leg in the weekend win at Burton, manager Chris Wilder has said. Coutts sustained a season-ending injury when he fractured a tibia in a challenge with Burton forward Marvin Sordell and was carried off in the 51st minute. “We had some relatively good news, obviously in a poor situation for the boy, and he didn’t need one,” Wilder told the club’s official website. “He’s out of hospital and back home, but it’s a season-ending injury for us, which is very disappointing. Coutts had been instrumental in the Blades’ promotion challenge this season, featuring in all bar one of their Sky Bet Championship matches. “It’s very disappointing, but we talked about it after the game – it’s a contact sport and players have to put their bodies on the line,” Wilder added.